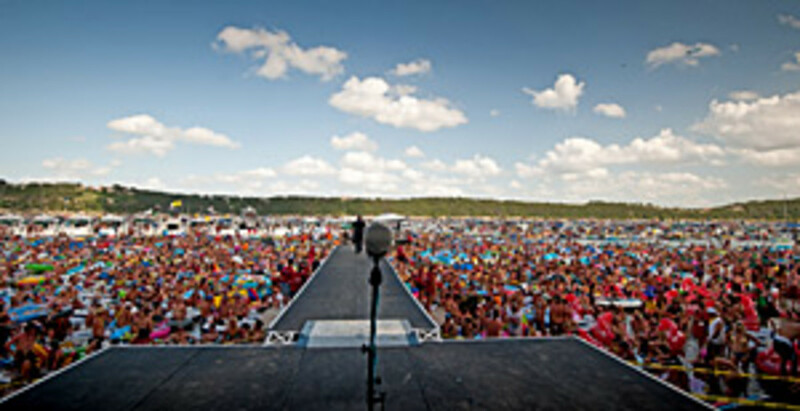 Sea Ray Boats and dealer Sail & Ski Center said an estimated 7,000 boats and 65,000 to 70,000 people attended country singer Brad Paisley&apos;s concert last Saturday at the AquaPalooza 2010 Signature Event on Lake Travis near Austin, Texas. "We plan for the worst and hope for the best," said Roger Wade, public information officer from the Travis County Sheriff&apos;s Office, in a statement. "This event turned out to be the best, with very few on-water incidences, especially for an event of this magnitude."